It was at the point she called him a "thief" that Ramos penalised Williams for verbal abuse, and docked her a game. "In comparison, I never saw (Rafael) Nadal shouting like that with an umpire". "Professional tennis players, sometimes, I think we lose sight of that". Strycova admitted she found it odd when the WTA Tour and U.S. Tennis Association came out with their support of Williams. "It made me feel like it was a sexist remark", she told reporters on Saturday. "WTA defence surpised me". "He did change the course of the match". "Ramos is tough, one of the best umpires in the world", Strycova said. She used her powerful serve and groundstrokes to outhit Williams in the final on Saturday. "If it's like this, let me know", Strycova said. 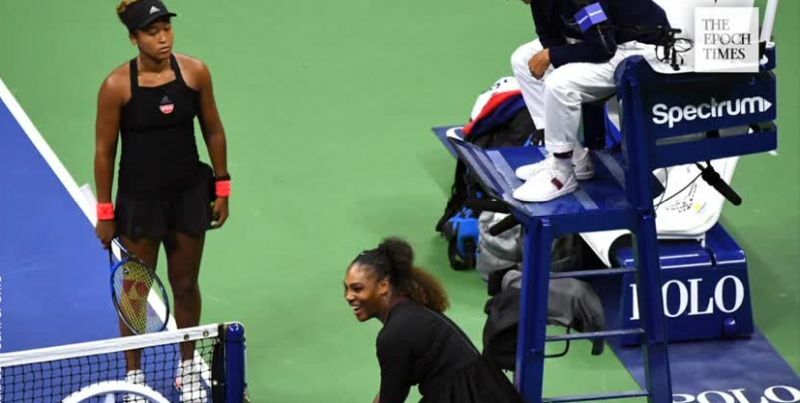 During and after the match, Williams pointed to sexism as part of the reason why she was given the three code violations that led to the significant penalties. "There's a lot of men out here that have said a lot of things, and because they are men, that doesn't happen to them", Williams said to the umpire, Fox News reported. "And that work ethic is the same whether you are a man or a woman". Ramos belatedly received public backing from the International Tennis Federation (ITF) and took his place in the chair for Cilic's routine 6-1 6-3 7-6 (7-5) win over Tiafoe.